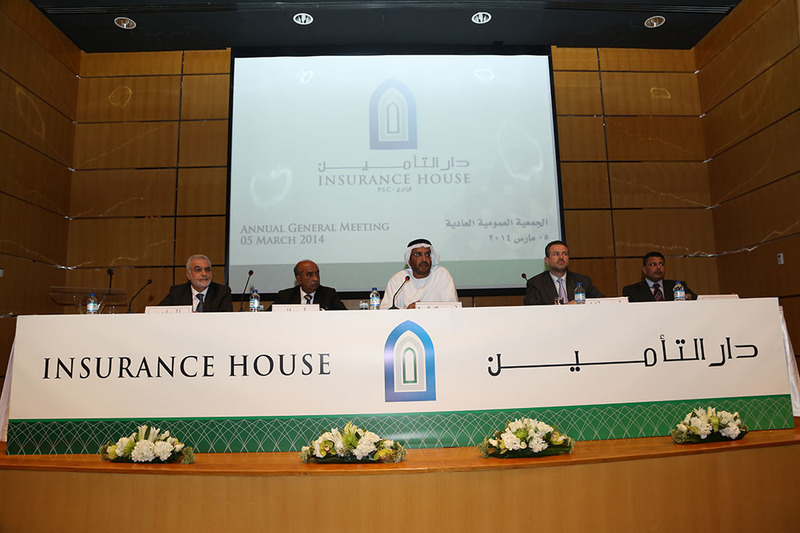 Abu Dhabi – March 8, 2014 – Insurance House PSC (IH) held its second Annual General Meeting and presented positive annual results to its Shareholders for 2013. A net profit of AED 9.56 million was registered for the year ended 31 December 2013. Gross Premiums Written (GPW) during this reporting period totaled AED 99.13 million. Total Assets doubled to AED 254.61 million compared to AED 125.8 million as of 11 April 2011, being the date on which it commenced operations. “Given the projected market scenario, IH’s strategic priorities include increasing Gross Premiums Written without compromising its prudent underwriting guidelines, competing on the basis of superior Product & Service quality as opposed to Price, and continuing to invest in human and technical resources, in addition to technology with a view to further enhance our underwriting and claims management capabilities,” added Alqubaisi. Bearing in mind the need to invest for accelerated growth in the near term, the Board does not recommend any dividend payment. Net Underwriting Profit of AED 11.38 million was complemented by an investment income of AED 18.98 million generated from a well diversified proprietary investment portfolio that is professionally managed. We have invested in the right people, processes and systems, the Chairman said, adding: “We have been able to attract to our ranks, top caliber insurance professionals with extensive experience in the UAE market. Around 13% of the Company’s current work force comprises of UAE nationals, manifesting our strong commitment to the development of UAE nationals in the insurance sector. This is ahead of the minimum requirement for employment of UAE nationals currently mandated by the UAE Insurance Authority for the year 2013,” stated Alqubaisi. “We look forward to 2014 with optimism and have accordingly set ambitious business growth targets. Our strategy is sound and is backed by a robust infrastructure that is geared to deliver profitable growth and maximized returns to our shareholders,” concluded Alqubaisi.